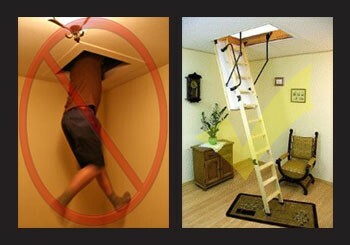 Every Attic Stair is equipped with a rod, which will let you lock or unlock the stairs. 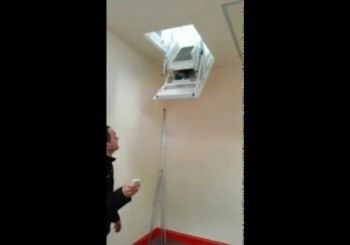 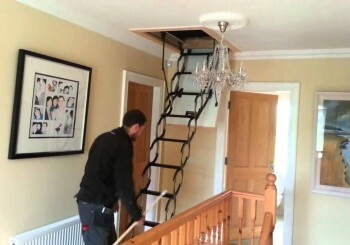 After unlocking you can operate your attic stairs, adjustable springs lets you open the cover very easy and smoothly. 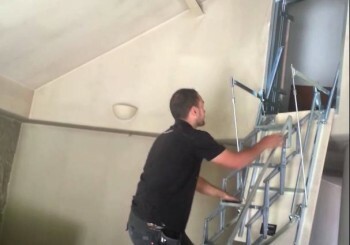 Our Attic Stairs are fitted with a Metal handrail. 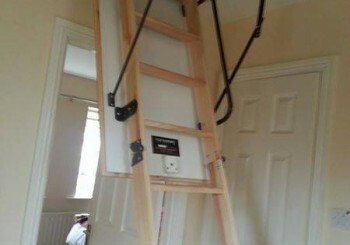 The steps they are fitted by "doves tail" joints, to strengthen the ladders. 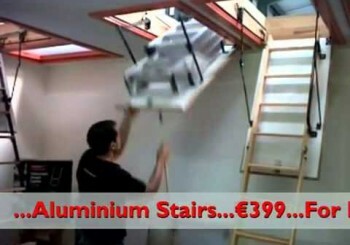 Anti slip grooves are also milled on the surface of each step. 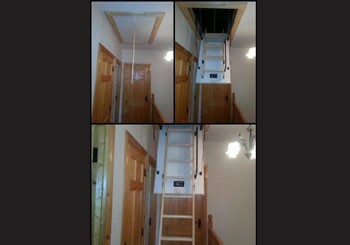 Our Attic Stairs are insulated with a sealed lid to save your energy without buying extra insulating or a attic cover.